College Street – looking south towards Market Street. This is on of the old cobbled streets in St Andrews. The Central Bar is on the left at the top of the street. 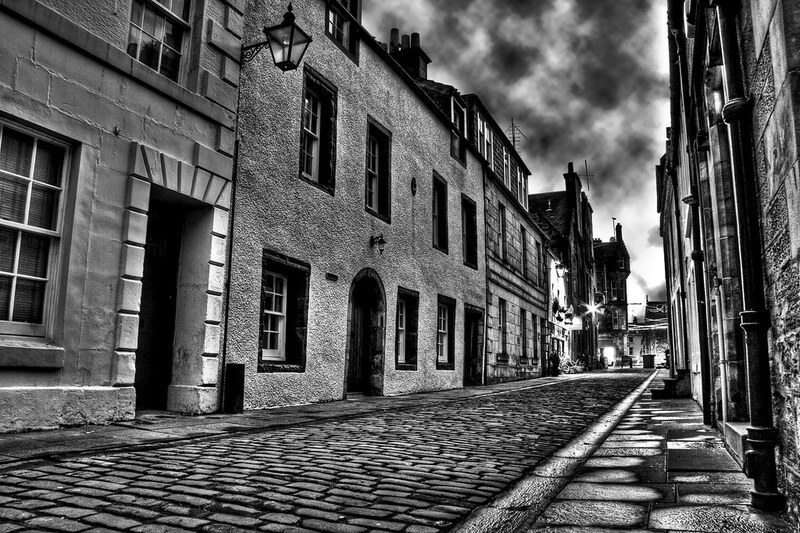 This entry was posted in Medieval, Scotland, St Andrews and tagged black & white, cobbles, fife, hdr, Medieval, Scotland, scottish, skreid, St Andrews, street, town. Bookmark the permalink.